Chicago Doorways offers a wide range of installation and repair services. Doors are our only business. 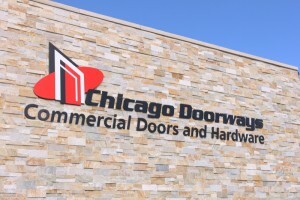 Formerly under the name Ward Door Specialists, Chicago Doorways maintains many long-standing relationships with the Chicagoland area’s most prestigious universities, hospitals, places of worship and commercial properties. Our customers rely on us to providing high quality doors and hardware that enhance bot the aesthetics and security of commercial properties.